It is a historical novel written in 1850 concerning Italian and European events of those years, paying attention to the action of Carboneria and Church. 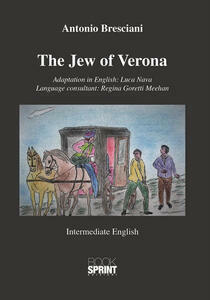 The historical outline is the setting of the story of the “Jew of Verona” and the characters involved in his human occurrences. The time of social, political contrasts, which are inevitable in a process towards the future realization of the democratic values, contributes to bring the protagonist to his final resolution, after a deep reflection about the meaning of his life.